When it comes to buying scrubs, agencies have countless options. But if high-quality fabric, flattering construction and durability are important to your employees, Landau scrubs are the only choice. Keep reading for 5 ways Landau scrubs and uniforms are superior. Every roll of fabric is tested for durability, shade consistency and color-fastness before it is put into production. 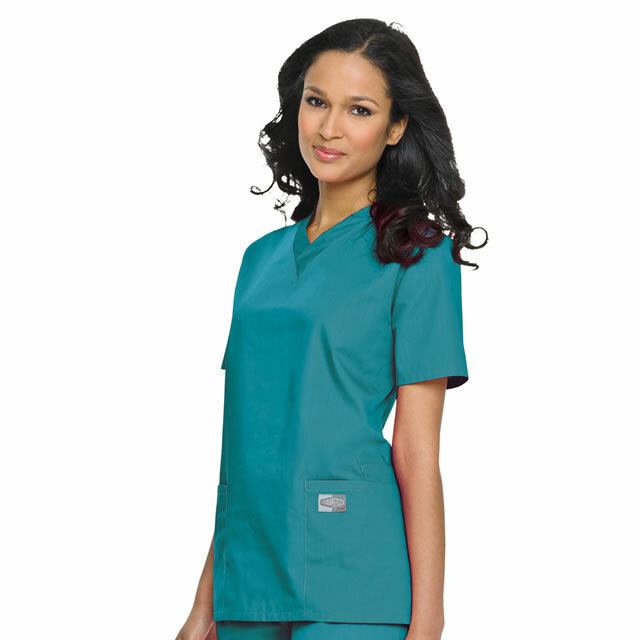 When fabric doesn’t meet Landau’s quality standards, it is discarded and passed along for use by other scrubs manufacturers. Landau has developed a proprietary dyeing and finishing process for color-fastness, ensuring every uniform garment is vibrant. Landau’s goal is to make sure every color in their collection has flawless consistency from garment to garment. Landau was the first company to introduce a full spectrum of colors and prints to their collection. A talented in-house design team combines trends from the fashion world as well as customers in the working world to create stylish, flattering pieces that fit comfortably. Landau patterns are engineered for maximum comfort and range of motion. They’re comfortable to wear whether you’re sitting, standing, walking or bending. Landau creates their own patterns and fits samples to real healthcare and nutrition professionals of all shapes and sizes. The result is uniforms that are comfortable and flattering. Often, other manufacturers will simply add to the measurements of a garment to increase the size. Landau scales their scrubs proportionately, to get the best fit for every body shape. Details matter. That’s why Landau meticulously inspects every roll of fabric, every single style they design and every single garment they sew. And when our scrubs are finished, they go back and inspect them one more time. Click here to see more Landau uniforms and work apparel. To find out how to get Landau products for your uniform program, simply, complete our Get Started form. Nurses, Enter to win the Passport to the Pacific Sweeps Contest! 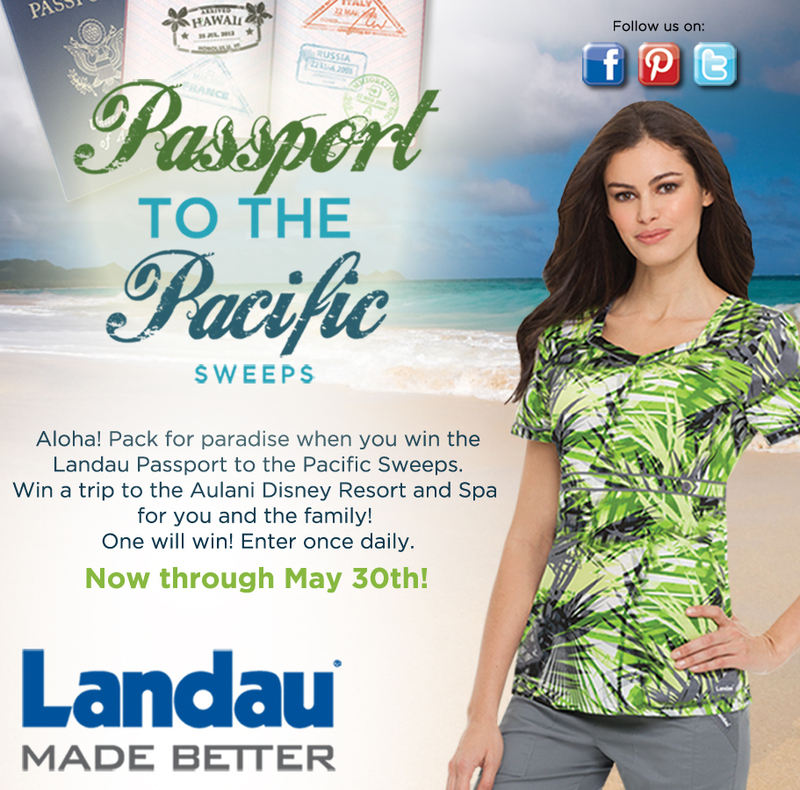 May is Nurses Month and Landau is celebrating with nurses and other healthcare professionals with a Passport to the Pacific Sweeps! One winner will receive a trip to the Aulani Disney Resort and Spa in Hawaii. Enter once daily through May 30. Tell your friends for a bonus prize that goes to the fan with the most referred friends. Go to https://www.facebook.com/landauuniforms?v=app_150794994973742&rest=1 now to get the full details and enter!